This was a post-WWII town for veterans, used as dwellings. 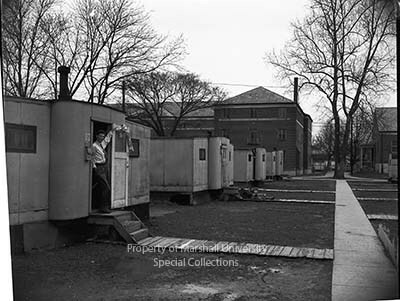 The collection of twelve trailers stood in the field somewhat behind the Science Building, near where Buskirk Hall stands today. The trailers were military surplus.